diana lynn's painting a day: 7.49 a pound. 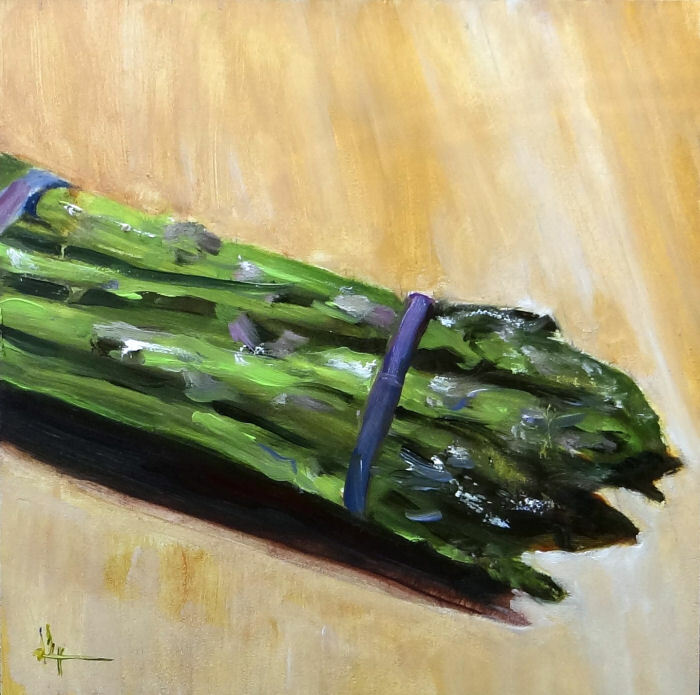 This is not the season to be buying asparagus... so when you have it, don't just eat it, paint it too. The colors in this painting were luscious to mix and play with ... I think I used too white of a white for my highlighted areas and there is a strange reflected circle from my camera that is not part of the painting but... Good exercise for me and they were tasty too.